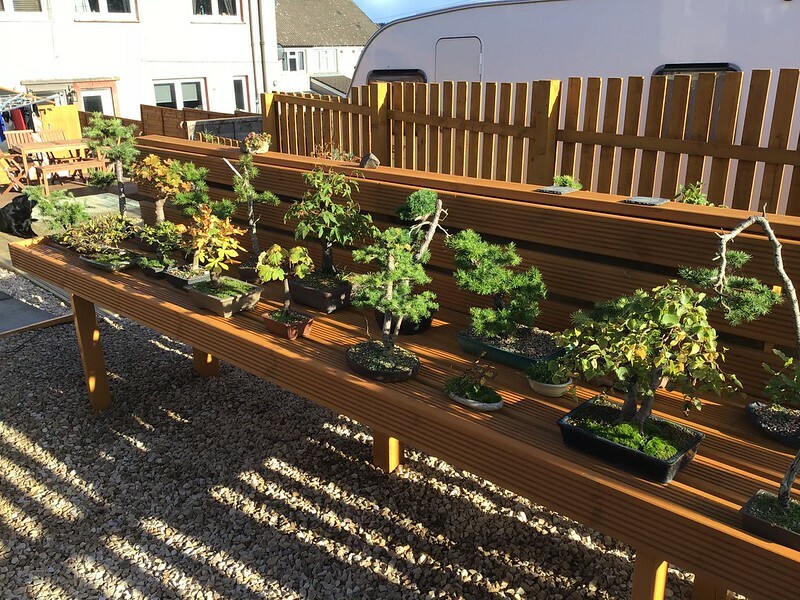 I was busy in the garden last year, extended my Bonsai area , built new benches and installed a wee log cabin. I have also started another flikr account as my last one was deleted by mistake meaning I lost a lot of photos. I have been slowly adding new photos as I take them and I am experimenting using flikr on my iPad but using my web browser instead of the app. It seems I can copy the bb code this way instead of posting a link. 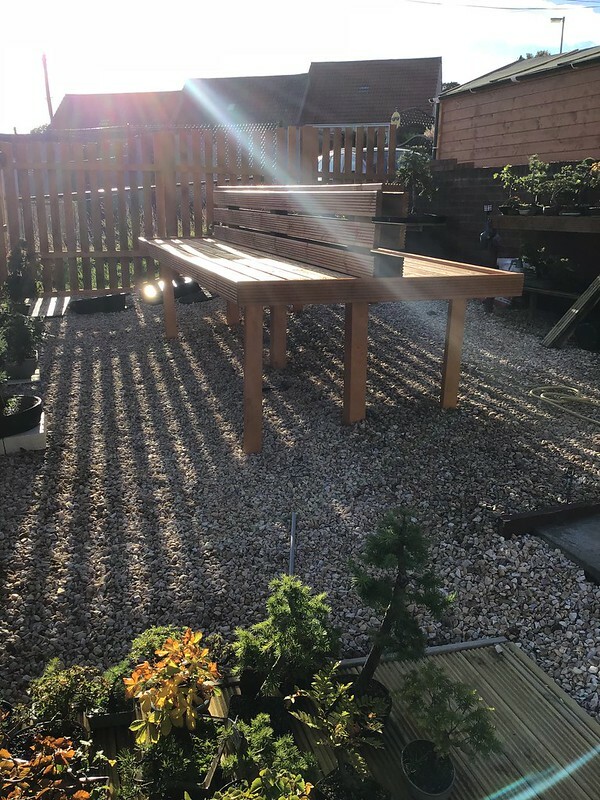 This is a test of that theory and hopefully a few photos of my benches should be visible. 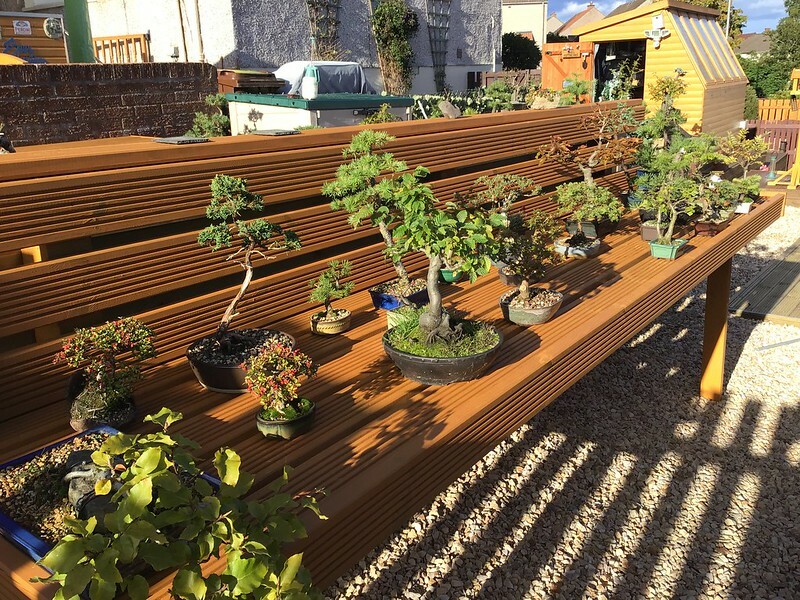 Love the benches, also great to see someones trees all together. You must live in a very nice area to have your trees visible through the fence and not worry about theives and vandals? Looks a great set up. These are great. I love the design with the back, which provides a great contrasting background to the leaves. Very nice … and already full! 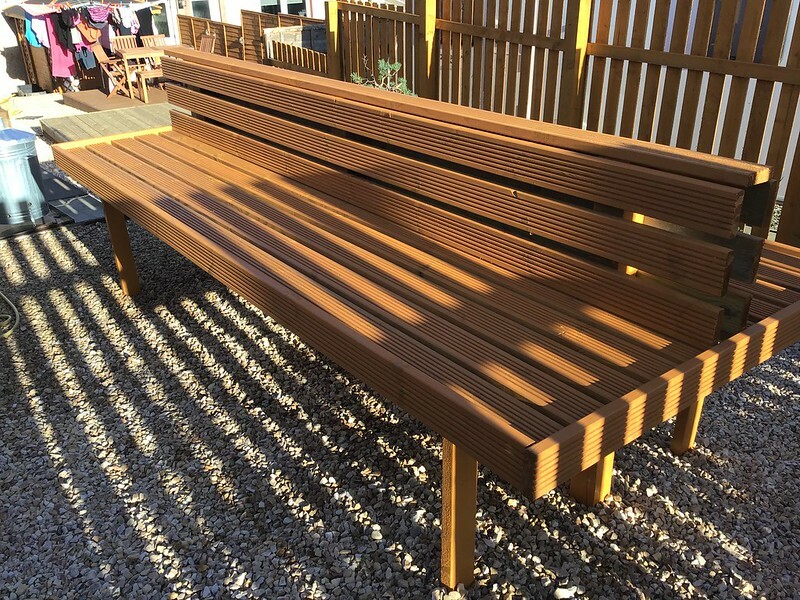 You need MORE benches it seems. Out of curiosity, how will you protect those from the sun if we get another scorching summer? 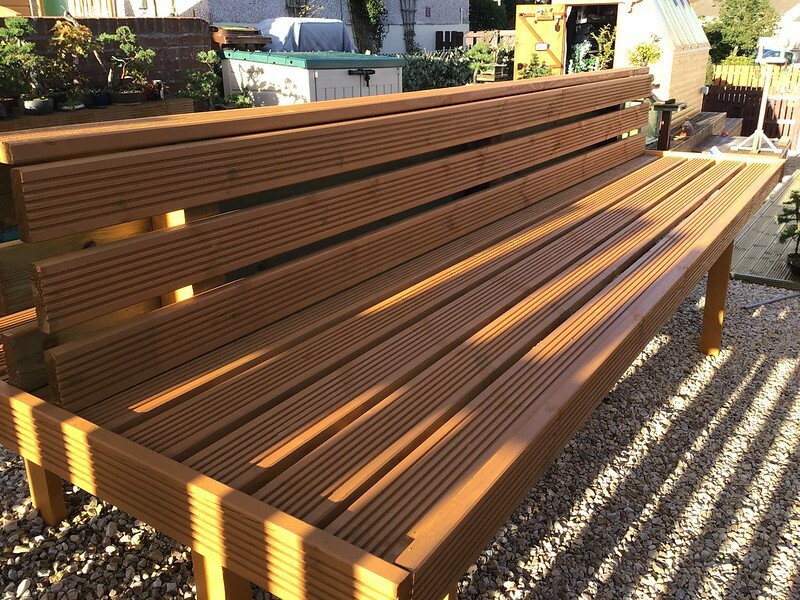 I live in Scotland so the chances of scorching Summers 2 years in a row are slim but if it happens I put the most sensitive ones under the benches during the hottest part of the day the rest take their chances. Most of them lap up the sun. I lived in Scotland for two years..........it rained! Mind you we used to go to Wales and then Norfolk every summer when I was a child to visit relatives, it used to rain the whole time.